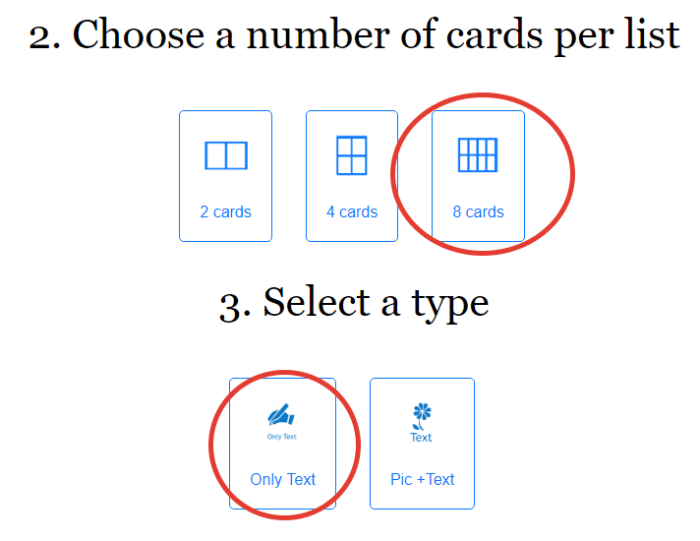 A lot of people look for a universal flashcard template in search engines. Indeed, that’s very useful to have such a file in order to make flashcards fast. 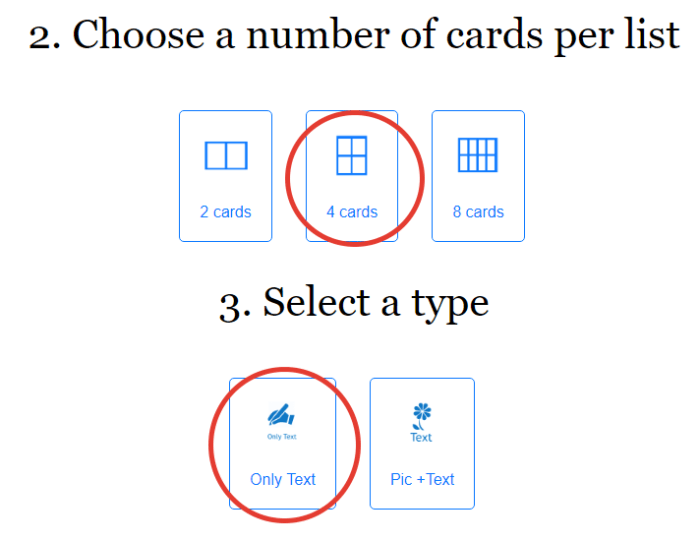 However, with Flashcard.Online editor, you needn’t worry about this anymore. 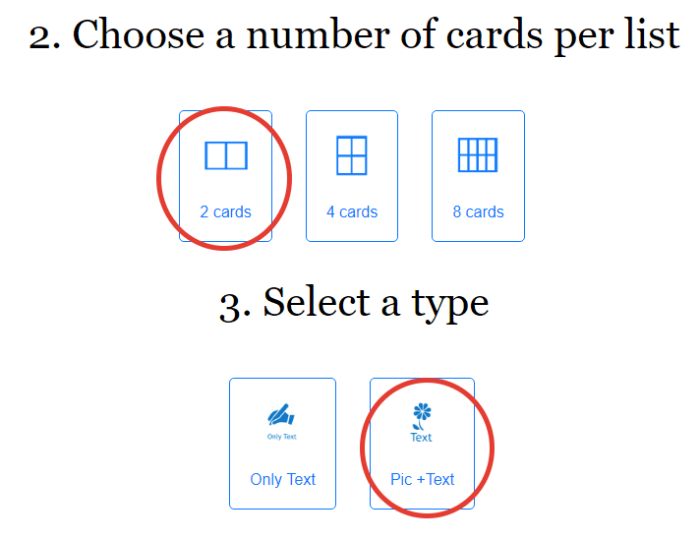 There are 6 ready flashcard templates available, which you can fill with your content asap. Let’s review these templates once again. Go to our editor and select the settings as shown on the screenshot below. This template allows users to add only text: up to 3 lines with 15 characters in each. There will be 2 flashcards on the list. The single flashcard will have the size of 155×105 mm. You may download the blank template in PDF format here. 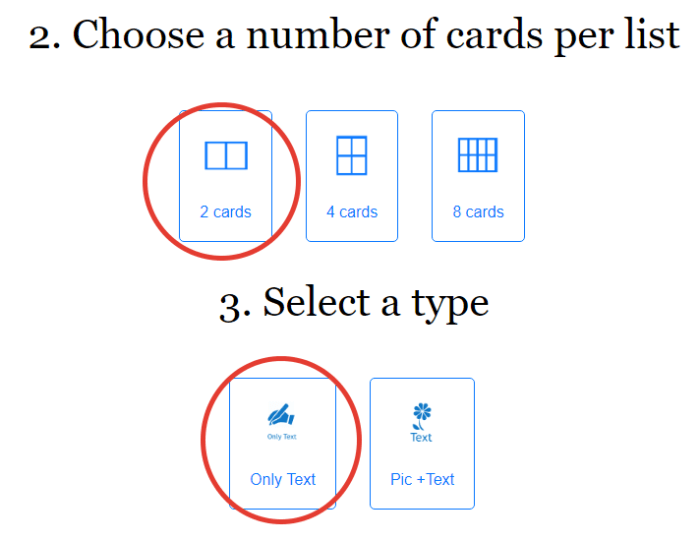 To use that flashcard template, set the flashcard editor options as shown below. The possibilities are the same as in the previous template. 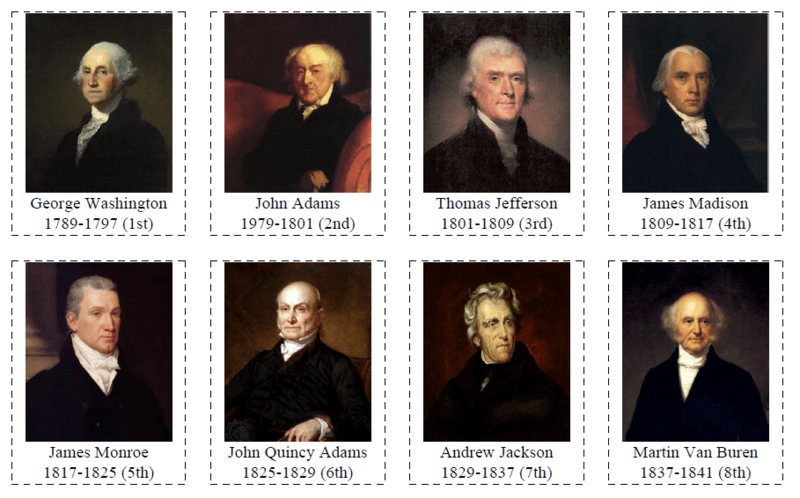 There will be 4 text flashcards on the list, each card will have the size of 70×65 mm. Download this template in PDF here. 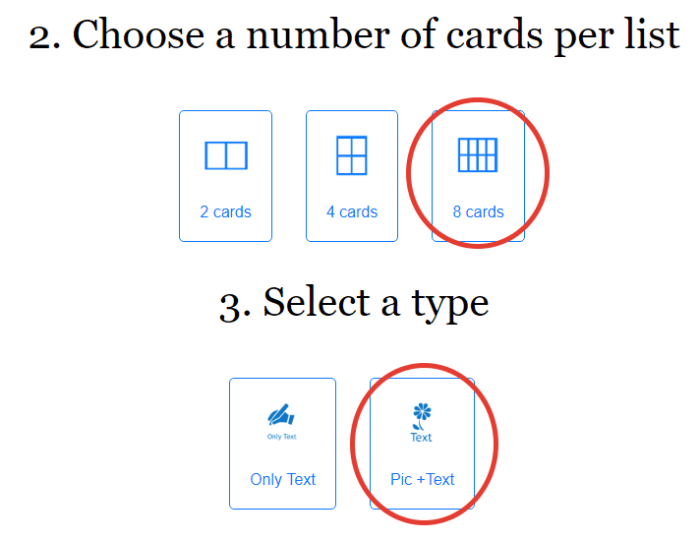 This flashcard template is set as follows. 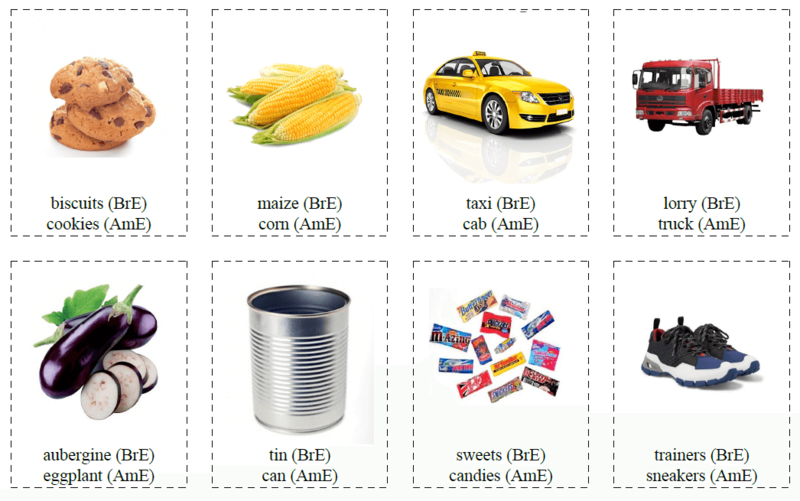 Again you may add up to 3 lines of text and get 8 small flashcards on the list. Each card will have the size of 75×50 mm. 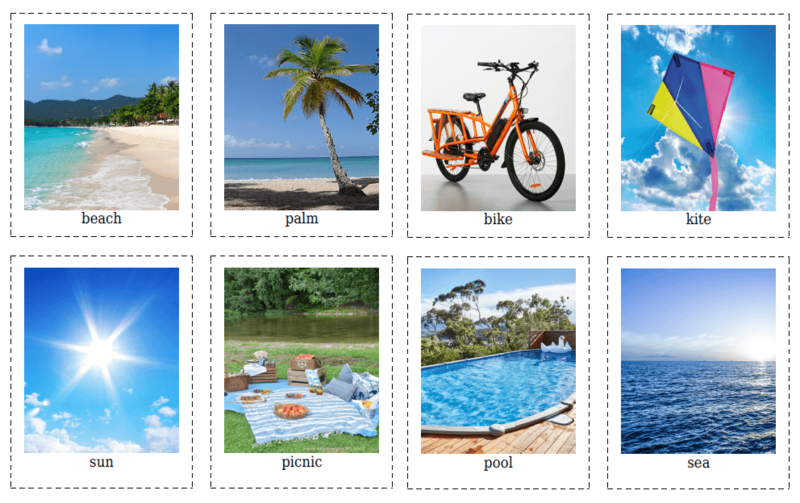 With this template, you’ll be able to create big flashcards with pictures. Choose the options as shown below. 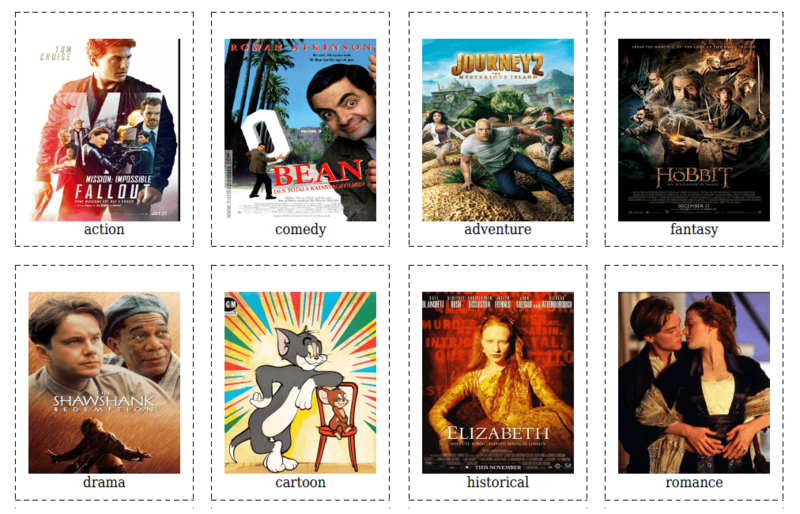 Then add a vertical image and up to two lines of text with maximum 15 characters in each. You will get 2 cards on the list, each has the size of 145×115 mm. Download this template without content here. Set the editor options as shown on the screenshot below. This template will provide you with 4 flashcrds on the list, text+image. Each card will be 75×105 mm size. Download this blank template here. 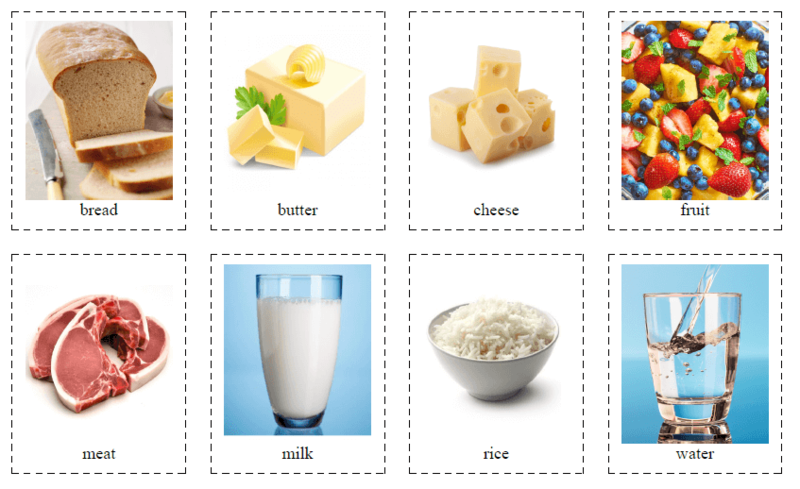 The last but not the least template for flashcards with pictures. It brings 8 cards per list. The settings are the following. 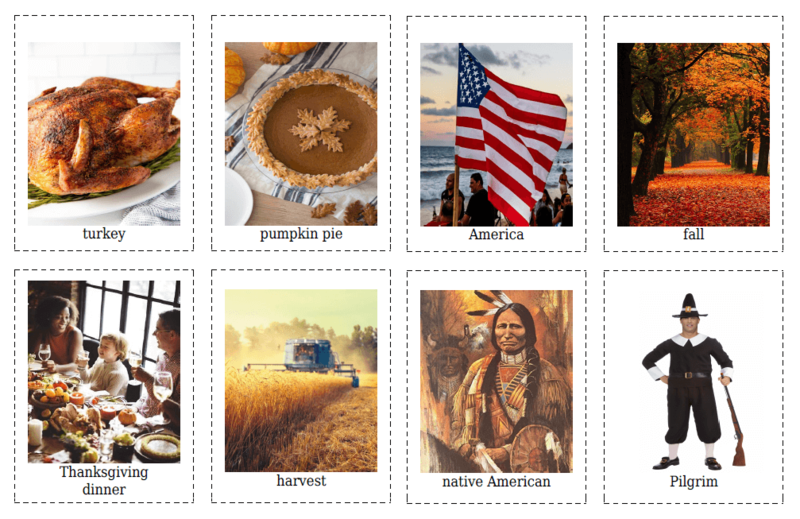 A single card will have the size of 75×50 mm, the same as template #4. 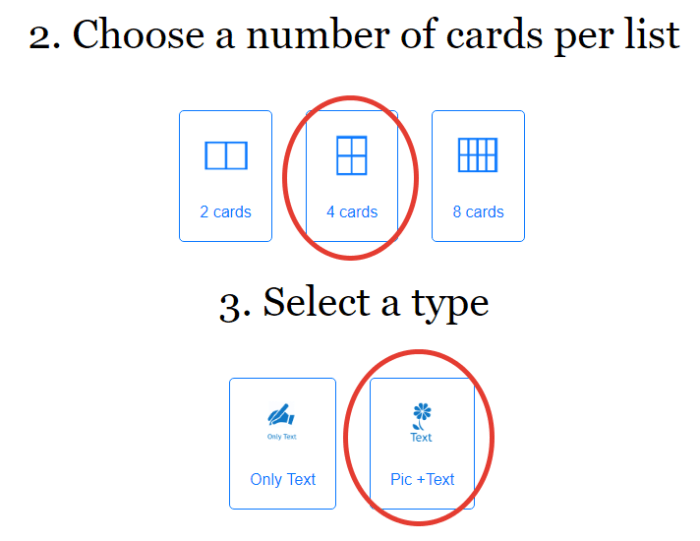 We have checked 6 different flashcard templates which you can use to create your own cards with the help of Flashcard.Online editor. 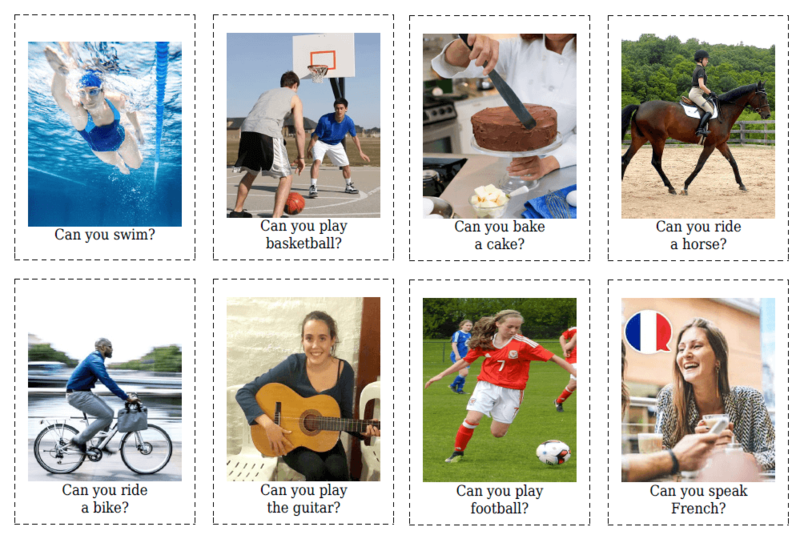 Choose the one that suits your aim or feel free to grab our ready flashcards.